Sailboats, celery trunks, and cheese puffs – oh my! The National WWII Museum is excited to announce that we will be building a victory garden onsite at the Museum on September 23rd and 24th. Leading up to the garden build we will be providing you with stories and recipes from the victory gardens of the war years. UPDATE: The National WWII Museum Victory Garden is now open and thriving. One big wartime message in the 1940s was the importance of stretching your dollar – and your food. That’s a big reason why people planted victory gardens in the first place; if people could grow their own veggies, more could be sent to troops overseas. Victory gardens provided almost 40 percent of vegetables grown in the U.S. during the war! Combine that with rationing, and people were conscious of using every bit of food they bought or grew and not letting any go to waste. Of course, this led to some odd combinations, like cream cheese and carrot sandwiches and baked beans in applesauce. But in the spirit of ingenuity – especially in the difficult economic times we’re living in – we’ve featured some creative recipes for stretching your leftovers into some fun appetizers! 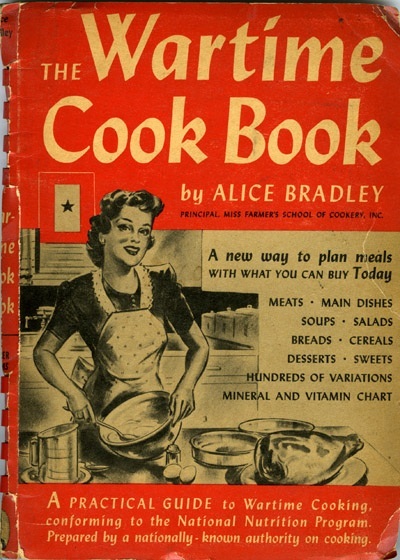 All of these recipes were found in The Wartime Cook Book, published in 1942. When tourists visit New Orleans, the time they spend at The National WWII Museum tends to be a high point of their trip. The Museum is also a jewel among New Orleans residents. Many locals love The National WWII Museum so much that they choose to spend their free time volunteering here. And it’s a good thing they do. Without the nearly 350 volunteers at the Museum, it simply would not be able to function as well as it does. The Museum itself certainly benefits from its volunteers, but what do the volunteers themselves get out of the experience? Well, some volunteers offer their time because of their love of history in general, and others feel drawn to military history in particular. More than that, many are looking for social connections, a structured outlet for their free time and a way to contribute to the community. For Charlie Monnot, a recent retiree who’s been with the Museum two months, volunteering gives him something meaningful to do with his time. As an Army veteran from the Vietnam era, the Museum also has special meaning to him. He enjoys the opportunity to serve as a guide and educate others about the country’s military past while he enriches his own knowledge. Meanwhile, Fritz Heintz, a WWII veteran, feels privileged to have taken part in such an important historical event, and volunteering at the museum allows him to make experience accessible to the public. Heintz worked his way up through the ranks to serve as an executive officer in the U.S. Navy Amphibious Forces at Okinawa. The vessel he served on helped equip the soldiers on the front line with tanks, trucks, and other vehicles. It also evacuated many soldiers and Marines. Volunteering is not just for retirees, however. For example, Kelly Smith, a student currently working on a Masters in Historic Preservation, chooses to volunteer because it complements her field of interest. She donates her time to the task of restoring a PT boat at the John E. Kushner Restoration Pavilion where she also gives tours. In addition, her father is a volunteer, and working on a team that rebuilds old engines gives them an interesting way to spend time together. The National WWII Museum welcomes volunteers from ages 16 on up. A variety of opportunities are available, and scheduling is flexible. Email us for more information. Posted by Katie Alpert, Volunteer Coordinator for The National WWII Museum. The soon-to-be-closed Naval Support Activity in Algiers, Louisiana recently gifted the Museum with the components of a memorial to the U.S.Merchant Marine and Armed Guard – including a plaque and two 3”/50 caliber deck guns. 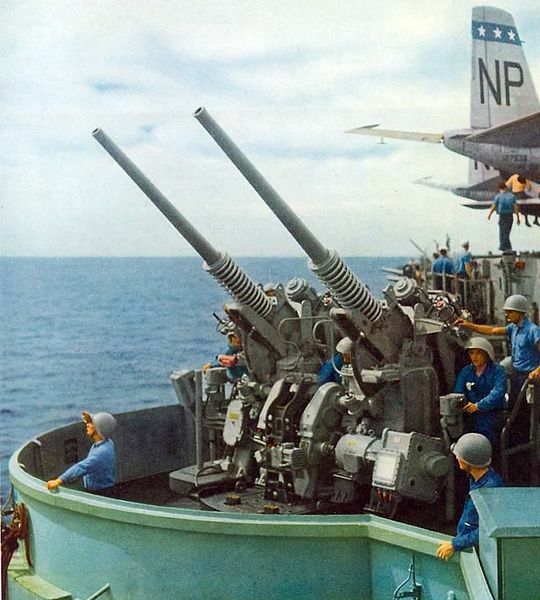 These are the type of guns that would have been installed on Liberty Ships, destroyer escorts and submarines in WWII. The guns and the plaque will eventually be displayed as part of the Museum’s ongoing expansion project. The next phase, the U.S. Freedom Pavilion is scheduled to open in 2013. Photographer Ansel Adams is best known for his WPA photos where he often went to great lengths to hide any trace of civilization in the majestic wilderness. In some of his lesser-known works, now on display at the Bainbridge Island Historical Museum, he had very different limitations – show no traces of guard towers, barbed wire or other means which kept Japanese American internees captive in U.S. camps. Because of these restrictions, references to camp life are subtle, almost undetectable in most cases. In others, for instance happy children, they speak to the resilience and determination by their parents, that life would be as normal as possible despite grim circumstances. The exhibit is on display through December 7, 2012. Find out more. 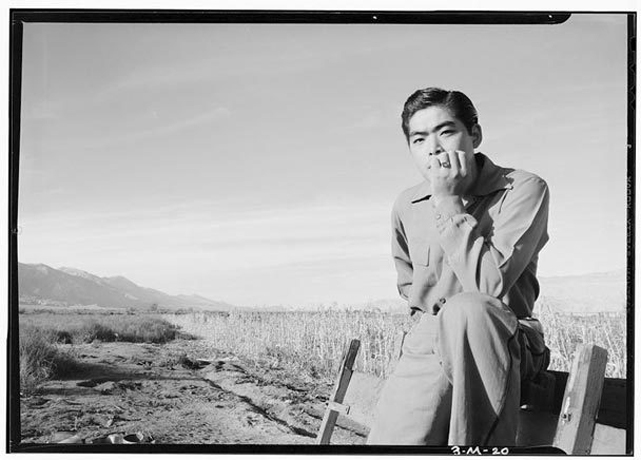 Read additional posts about Japanese Internment. Adding to the collection aboard the USS New Jersey(BB-62), December 1944. Photo courtesy of the National Archives. 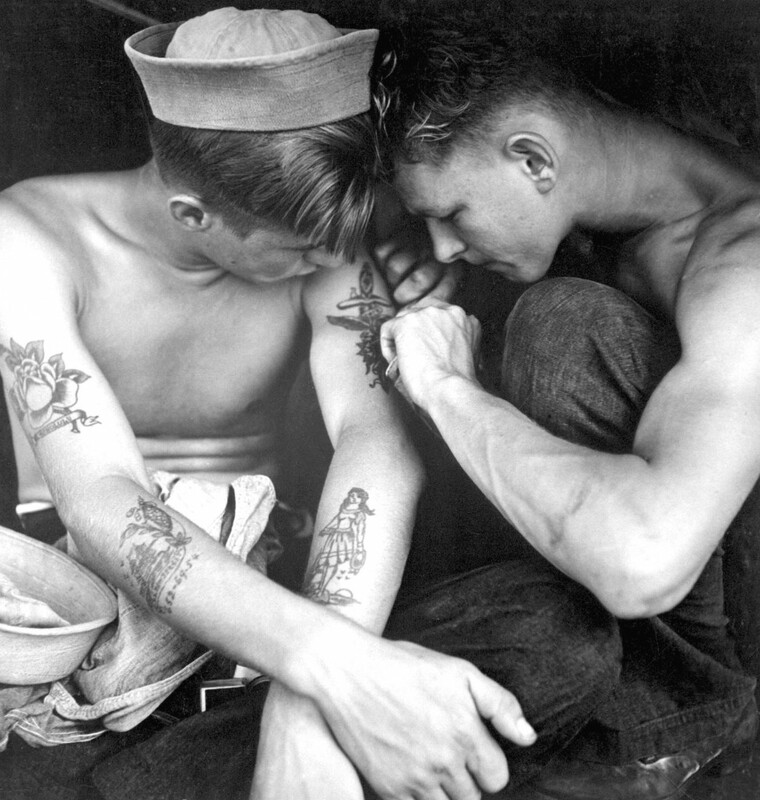 The ink on sailors’ bodies is as telling as the pages of a scrapbook. The association of sailors with tattoos presumably originated with the British Royal Navy in the 18th century as it sailed throughout the South Pacific. After “discovering” the tattoos and tribal markings of the native people of Polynesia and other Pacific islands, the naval tradition was born. Serving as souvenirs of travels abroad, some motifs were more common than others, such as ropes, stars, or mermaids. Many typically nautical tattoos had to be earned, worn as a badge of merit and accomplishment. A golden dragon, for example, could be worn once a sailor had crossed the International Date Line, while an anchor represented having crossed the Atlantic Ocean. To wear such tattoos without having earned them would be a grave mistake for a new sailor among old salts. Other images were superstitious. Swallows—tattoos of which were earned by logging 5,000 miles at sea—are known for returning safely to their homes and were therefore seen as good luck to seafarers. Turtles or images of King Neptune were earned once a seaman had crossed the Equator. Some men would have pigs, roosters, or other aquaphobic animals tattooed on their bodies with the idea that if thrown overboard, the water-fearing animal would seek out dry land quickly and thereby lead the sailor to safety. Christian crosses were placed on the bottom of feet to ward off sharks, and the words “Hold Fast” across the knuckles as a reminder to hold tight to the ropes. Five-pointed nautical stars were meant to prevent getting lost at sea. This post by National WWII Museum Curator Meg Roussel. It’s Worker Wednesday! This series will feature news and photographs from the publications of Higgins Industries. At the suggestion of an employee, beginning in late 1941, Higgins began to publish a newsletter written by and for its growing workforce. By 1943 Higgins would employ more than 25,000 workers in 8 plants across the New Orleans area. The monthly workers’ initially entitled The Eureka News Bulletin, was intended to inform, educate, stimulate production and build morale. In late 1943, the newsletter evolved into the weekly, The Higgins Worker. Andrew Jackson Higgins wanted the newsletter to be current. As quoted in Jerry Strahan’s book Andrew Jackson Higgins and the Boats that Won World War II, Higgins stated: “if something happens on a Thursday and the paper comes out on a Friday, goddamit I want the thing that happened on Thursday to be printed in the paper that comes on the press the next day.” The newsletters featured announcements of plant-sponsored events such as blood or bond drives, shop news, jokes, cartoons and the scores from the numerous sports teams populated by Higgins employees. 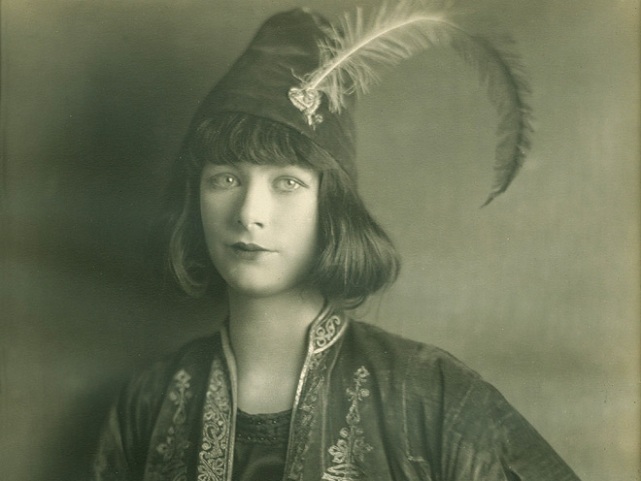 Caroline Ferriday, a wealthy and beautiful young woman from Connecticut, spent her whole life trying to right the wrongs of the Nazi regime. Initially working to aid French citizens, she turned her efforts specifically to the “Lapins,” a group of women who were arrested for aiding the French Resistance and used for horrific Nazi medical experiments. Thanks to One New England for sharing this article with us. Read the full story of Caroline Woolsey Ferriday. With the 70th anniversary of Pearl Harbor on the horizon, we turn our attention to the eve of US involvement in the war that changed the world. This entry by the Museum’s Senior Director of History & Research, Keith Huxen, is just one of many historical essays on 70th anniversaries we will be posting in coming years. You can also keep up with significant dates by following the Museum’s Twitter feed, @wwiitoday. In the summer of 1941 the historical pathway of the Second World War was rapidly changing. In Asia, Japan found herself still struggling after four years to complete and consolidate her conquests in China without recourse or access to the raw materials spread further across the Southeast Asian archipelago. Pressure in the European war was also reaching critical mass. Great Britain, having survived the previous summer by fending off Operation Sea Lion, Hitler’s planned invasion across the English Channel, had continued to fight Germany alone. Unable to complete Britain’s defeat by late October 1940, Hitler gambled and unleashed Operation Barbarossa, the German invasion and double-cross of the Soviet Union. The Germans believed that total victory over the USSR could be completed in six months. Germany’s gamble would achieve four great objectives: Soviet defeat would rob Britain of her last potential European ally and force Britain to a separate peace; Hitler would eliminate the Soviet Communist regime which he regarded as his great ideological enemy; Hitler would acquire through invasion the vast Lebensraum or eastern living space in Ukraine where he intended to build a purely Aryan empire; and last, as the German army acquired and controlled the territories of Eastern Europe, Hitler would gain control of two-thirds of Europe’s Jewish population (along with other racial undesirables in the Nazi lexicon) which he intended to extinguish from European life. Unleashed on June 22, 1941, the Nazi invasion and strategy appeared to have a good chance of success as the Nazis drove deep into Soviet territories. Thanks to a beautiful and emotional article published this week in Smithsonian Magazine, the tragic story of Minter Dial has been unearthed much in the same way his Annapolis class ring was discovered back in 1962. Read the story of “one World War II POW” and how his ring touched the lives of so many. Visit the Facebook page created to bring this ring home for the second time. 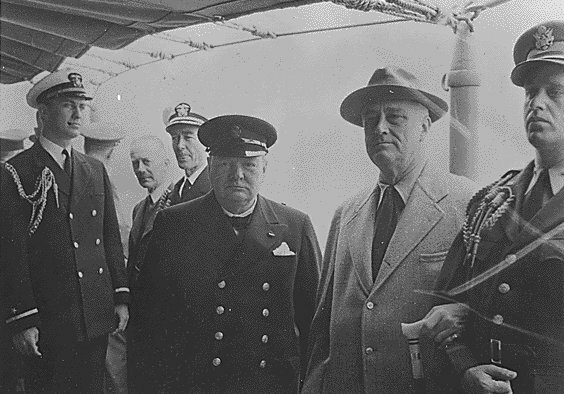 Mark your calendars for the first-ever New Orleans Churchill Symposium to be held Saturday, September 10, 2011, in The National WWII Museum’s Stage Door Canteen. This special event is hosted by The National WWII Museum in partnership with the Churchill Society of New Orleans. 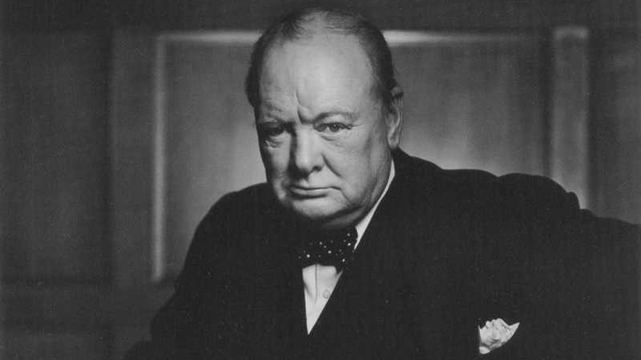 In honor of the Churchill Symposium, tell us your favorite quote (or alleged quote!) by Sir Winston Churchill.